2012 Ford Super Duty F-250 SRW 4WD CREW CAB LARIAT POWER STROKE DIESEL! Trim: 4WD CREW CAB LARIAT POWER STROKE DIESEL! 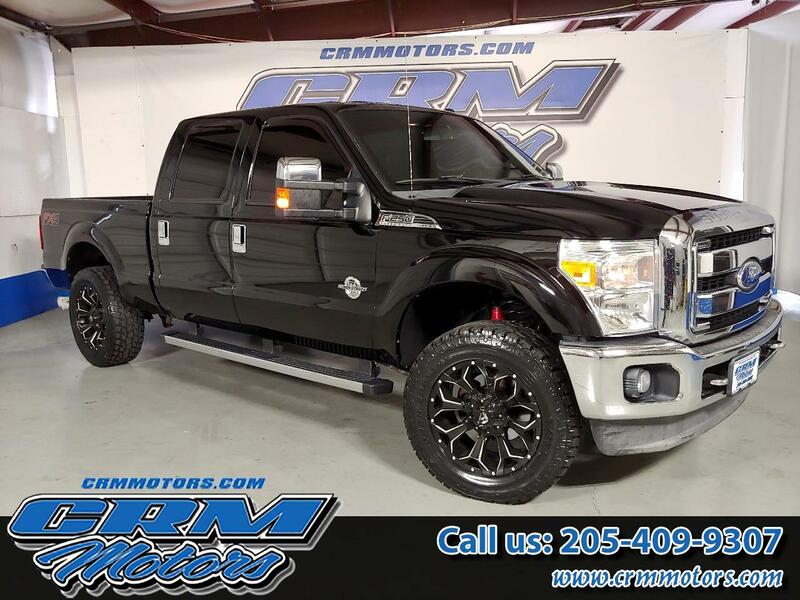 Vehicle Inquiry for 2012 Ford Super Duty F-250 SRW 4WD CREW CAB LARIAT POWER STROKE DIESEL! This vehicle comes with the option to purchase a 3 year / 36,000 mile extended service contract. Please ask your sales professional for more details. Come view our inventory at WWW.CRMMOTORS.COM or visit CRM MOTORS at 2710 Pelham Pkwy, Pelham, Al. 35124 ----#205-358-3603---- For more info please call or email us. CRM Motors, Inc. has been in business since 1994. We have the friendliest and most helpful staff that you will ever meet. We not only sell quality used vehicles but also with finding that special vehicle for you. We Sell, Trade and Buy cars, trucks, motorcycles, boats and RV's. Family owned and operated... not franchised!!! All of our inventory goes through a multi-point inspection to make sure our new vehicles are up to our customers' standards. Also, we service, lift, and repair our vehicles at our CRM Xtreme shop which is located on-site next to our car lot. If you need accessories, you can purchase wheels, light bars, step rails, weather mats, etc. on location as well. Need your car detailed??? No problem, our detail shop is on location as well. CRM Motors will cover everything that your car needs on site. Our goal is to please our customers and provide services that will make you feel comfortable and a part of our family. Come by and let us help you with all your automotive needs.